Today was the end of an era.... after four years, no more Merry Oaks Preschool!! I certainly won't miss fighting the morning traffic driving there every morning. It was such a sweet little school though and worth every penny. I loved everything about it and now we have no more babies going through their doors. Hello to my kindergartner, Veronica!! Today was the end of school family picnic in the park. We had a great time! Lots of food and the kids had a blast playing in the park. I was so sad as we left and the teachers all said their goodbyes to Veronica. They have all done so much over the years! Next it was Valerie's turn!! Hello to my second grader!! We visited her at school for a small awards ceremony. Valerie made straight As all year and received a couple of awards for having a 4.0 GPA and a medal. SO very proud of my smart girl!! Now let the Summer Chaos begin!! Wordless Wednesday - Let's Dance! The girls had a show off night at dancing! They both have learned so much. Next year will be a recital year -- can't wait to see them on stage! Valerie and her friend Josette signed up to be in the school's talent show! They did great and I was so proud of them both. Oh to be young and know no fear! lol Valerie was the *ONLY* first grader in the show!! Kudos to all the kids in the show... it takes guts to get up on stage and perform in front of an audience at any age. The years seem to have flown by. I try to remember when it was just me and Valerie. What did we do with our time? She slept as a baby and only cried when she needed something. We went to the gym in the mornings and she played in the daycare. And we'd visit my Mom and Dad. When she was one we started doing playgroups, which was a great outlet for us both. We attended A LOT of playgroups. 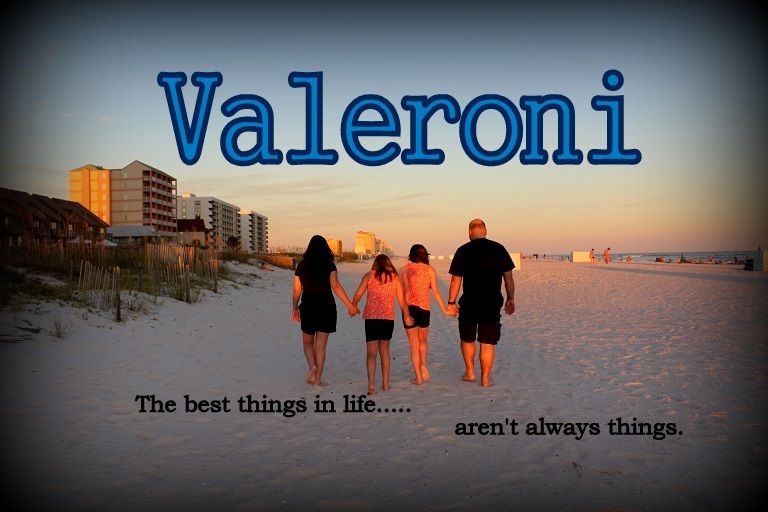 Veronica came along when Valerie was two. And again, what did we do with our time? Veronica cried. A lot. Every day and every night. That I do remember. The nights where she screamed and screamed and we didn't know why. We all went to the gym and both girls cried in the daycare. There were still playgroups to attend when I thought Veronica could handle it. Then Valerie started two half days of school a week. But what did we do on the days all three of us were home? Valerie transitioned to 3 full days a week school. What did Roni and I do on our alone days? Then Veronica started school part time... and this year they were both in school five days a week. But honestly, as hard as I tried to hold onto all the sweet little memories, the years of being home with my babies are all a blur. Where did it go? They are growing up so fast. Last night, another bittersweet moment: Veronica graduated from pre-k! She's officially kindergarten ready. I'm not quiet ready for my baby to go off to big school!! Her class sang their sweet songs and Roni belted them as loud as she could! They all received a graduation cap and "diploma." After we celebrated with dinner at one of her favorite restaurants. Only one thing missing: My Dad. He never would have missed this moment. My Mom. 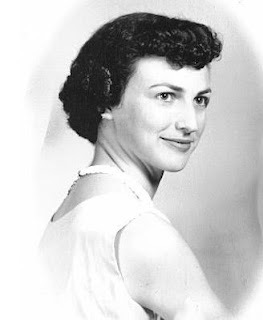 She was around 20 years old here I think. I sure do miss her. Happy Mother's Day to all the Mommies out there. I hope you enjoyed your day! We went out for an early lunch at Copeland's to beat the rush. Other than that, the rest of the day was pretty ordinary. It seems everyone around us had big plans and lovely gifts and family to spend the day with. Not much of that here, which even though I know not to expect anything, it still is disappointing that there's nothing really special for me today. Kids are fighting. There's still housework and yard work... and clutter to trip over everywhere. Valerie lost the gift she made for me. Veronica said she was too busy and didn't have time to make the planned project at school. Oh well. That's the life of a Mom I guess. Your husband just called and said "Eat dinner without me." "Why don't you grow up and act your age?" Or "You guys get outside and find yourself something to do,"
and "don't slam the door!" Hangers in the closet; animals caged. You'll yell, "Now I want it to stay this way." You'll yell, "I want complete privacy on the phone -- no screaming! No more plastic tablecloths with stains of spaghetti. muddy boots, or rubberbands for ponytails. Imagine a lipstick with a point! No babysitter for New Year's Eve. Washing clothes only once a week. No PTA meetings or silly school plays where your child is a tree. No car pools, blaring stereos, or forgotten lunch money. No more Christmas presents made of library paste and toothpicks. or sticky fingers to wash.
Only a voice asking - "Why don't you grow up?" And a silent echo -- "I did." 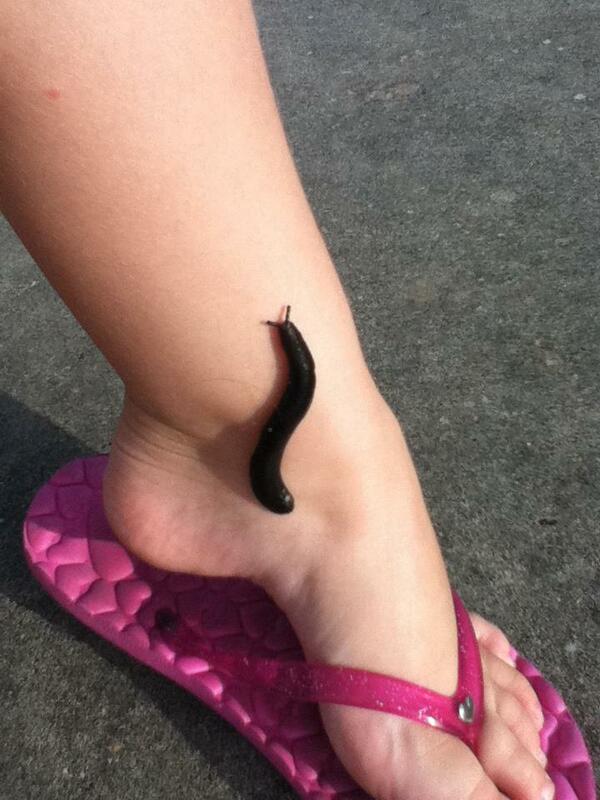 Veronica: "Mom, can Sluggie be my new pet? He likes me!"